Would You Like Fries With That State Degree Pin? How do you use the board in your classroom? For Meagan Slates, agriculture teacher at at Penn Manor High School in Lancaster, Pennsylvania, her board is a showcase of organization and Teach Ag pride! Want Your Picture in NTN?? 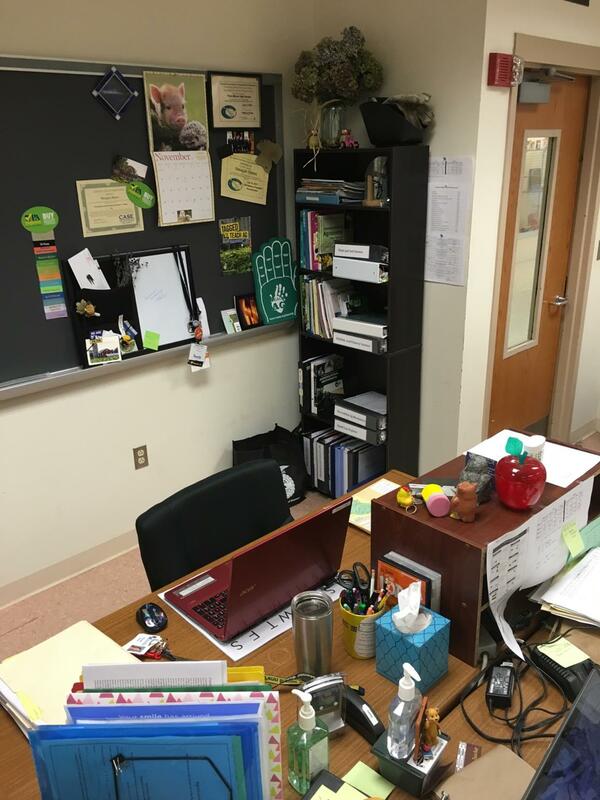 ?Are you interested in having a picture of your desk (or your colleague's desk) in New Teacher News? Send a high-quality picture to Andrea Fristoe & look for your picture in an upcoming edition! News & Views is NAAE’s bimonthly e-newsletter. It covers current happenings in the association as well as regular updates on our initiatives and programs. Check out the February edition to find out about Growth Energy's major commitment to NAAE Scholarship Fund, what it means to mentor, and meet an outstanding teacher who uses an award to advocate. 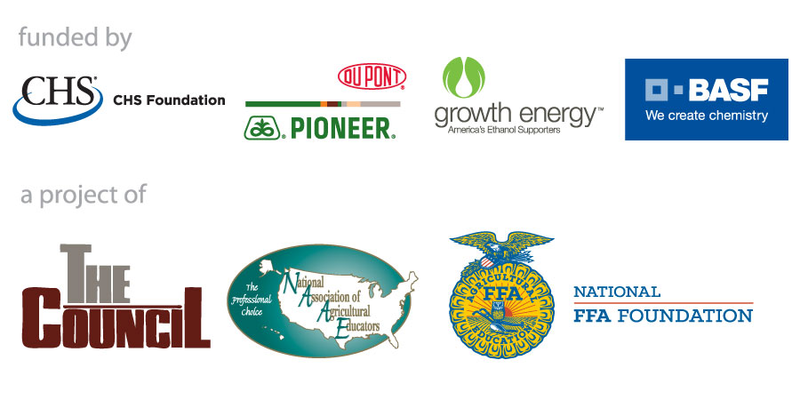 Be a Host Location for the 2016 National Teach Ag Day! 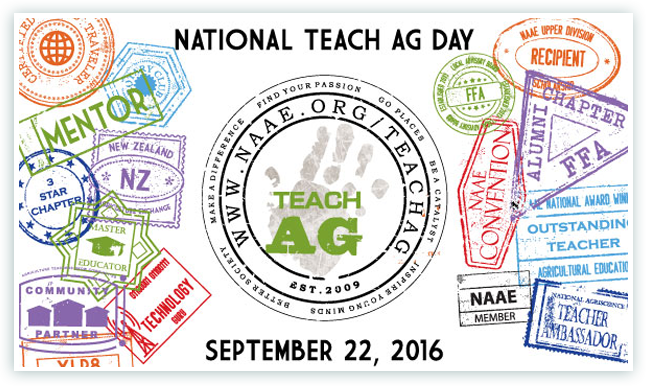 The National Teach Ag Campaign is looking for up to four sites to serve as satellite locations for the 2016 National Teach Ag Day celebration (Thursday, September 22). The satellite sites will be featured throughout the live event to showcase current and future agriculture teachers. The satellite locations will be assigned a host facilitator (current or former Teach Ag ambassador) who will help coordinate on site discussions and technical logistics.